'Harbor House', built for Alonzo Potter by Peabody, Wilson & Brown in Smithtown c. 1914. 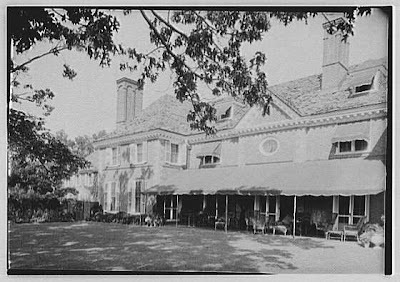 The home was later sold to Gerald Dahl and unfortunately razed c. 1979. This is a beautiful house, Do you have more pictures of it? An investment banker, the client was a son of the Episcopal Bishop of New York, Henry Codman Potter, and a grandson of the Episcopal Bishop of Pennsylvania, Alonzo Potter. In 1904 he wed Elsie Nicholas, a daughter of Henry Ingersoll Nicholas, founder of a banking and brokerage house. Their son, Henry Codman Potter, became a Hollywood film director most famous for the movies "The Farmer's Daughter" and "Mr Blandings Builds His Dream House."